Digital video is everywhere these days: hospitals, restaurants, car dealerships, even your dentist has online videos. So are you using video marketing for your business yet? If not, you’re missing out on one of the biggest areas of advertising, and you know who IS using video marketing? Your competition. Not only do online videos appeal to a wider audience than written content alone, but the ease and availability of online video means you can reach your audience in a shorter amount of time. No matter the subject, potential customers are more likely to engage if you include video in your overall marketing strategy. When using online videos to deliver your message, you can talk about whatever you want. While TV and radio are great for increasing awareness and highlighting special deals, online videos can talk about your products in a more personal way. Use how-to videos to educate and sell your product or service over your competitors, or have satisfied customers tell their stories in short, easy-to-watch videos posted to your website and social media. Include a video in your email marketing and see your click-through rates increase by 200-300%*. At Red Crow Marketing, we recently helped Willow Green Gardens launch a series of online videos to promote their nursery and tree farm. Instead of making a commercial promoting their overall brand and/or an annual sale, we used the owner’s experience and natural charisma to create a series of online videos with recommendations. Not only does this establish the owner as a reliable source of information, but his suggestions are for his geographic location, so local audience members receive relevant information specific to their needs. 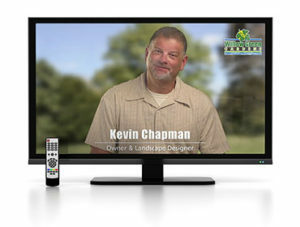 Television and radio commercials usually require videos in 15, 30 or 60 second clips. With online videos, the length is up to you. Shorter videos will keep audiences engaged – but keep in mind that 20% of viewers will click off your video after 10 seconds*. Longer videos, when used effectively, can provide content that cannot be given via standard advertising avenues. Additionally, online video is less expensive to produce than a traditional TV commercial. W hile there are many aspects of video production that can affect the cost, overall online videos are much more cost-effective than videos produced for television. Willow Green Gardens has a 13-second introduction video: long enough to get their message across, but short enough that most viewers watch the entire video. The recommendation videos are all 60-75 seconds long, which allows for more focused content in a video not much longer than a standard TV commercial. You can now be interesting and funny! What works online is different than other advertising mediums, so don’t mimic your TV and radio ads. Instead, use your staff/office/city/green space/company dog to connect and engage with your audience. They’ll appreciate your creativity and remember you for it. For the Willow Green Gardens online videos, we channeled the owner’s experience in both landscaping and public speaking to allow his personality to come out. The result: six unique videos that give recommendations in his own way instead of a pre-determined sales pitch. The authenticity is noticeable and appreciated. Adding digital videos to your website allows for tracking plays and conversions, providing insight into what else your audience is searching for. Tie your Adwords campaigns to landing pages with online video marketing and watch your conversion rates soar. Don’t forget about social media: create a company YouTube page to store all your videos in one place and make it easier to share via social media. In addition to video marketing, Willow Green Gardens also launched a new website to better engage with customers. Google Analytics provides data on conversions and website engagement that will be considered for future campaigns, additional online videos, and more. As we said in reason #1, video marketing provides endless options for content. If you provide your customers with the content they need and are searching for, they’ll rely on you for information in the future. Establish yourself as a resource with product demos, how-to videos, or new insights and research. Customers who view videos stay on the website two minutes longer than non-video watchers*; provide relevant content in video form to keep them more engaged. Video marketing allowed Willow Green Gardens to provide very specific information to their local audience. There was no need to include a sales pitch; the owner offered ideas, established credibility and accessibility, and impressed with his knowledge and personality. When local customers need advice on planting or growing, they now have a local name and face to contact with their questions. 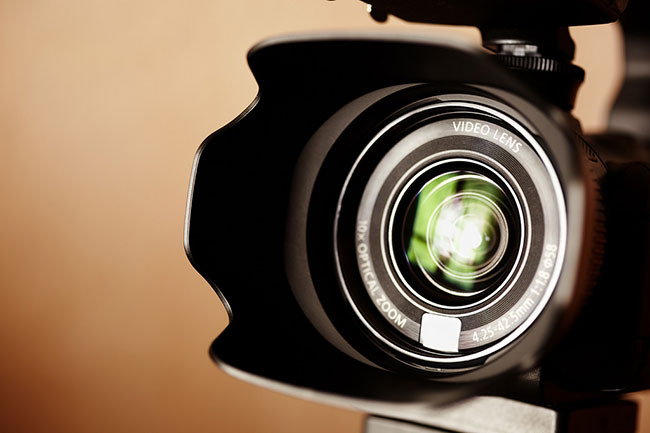 Video marketing can open many new avenues of audience engagement. Remember: 100 million Internet users watch online videos each day*. If you don’t have online videos for your product or service, your competitors probably do! Contact Red Crow Marketing today and see how video marketing can enhance your marketing strategies. 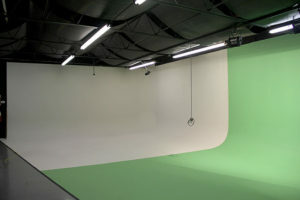 Our 2,200 square feet of studio space is ready for your next project.